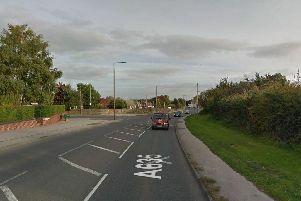 An investigation is underway into a shooting in which a man was shot in his neck near to a Sheffield park. The police probe has not yet been confirmed by South Yorkshire Police, but a woman, posting on Facebook, said her son was shot last night. It has not been revealed where the shooting took place but armed police sealed off Meersbrook Park and a wide-scale search was mounted as concerned residents looked on. The victim's mum said her son was walking towards the Cross Scythes pub when he was shot by a man who asked him for cash and cigarettes. She said it was an 'unprovoked attack'. She wrote: "We had just picked our son up from work, he was on the phone talking to a friend walking to the Cross Scythes, he was shot through the neck in an unprovoked attack from a stranger asking for money and fags." She said the gunman was wearing an 'army jacket' at the time of the attack.